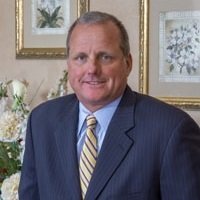 Ray has more than 25 years of experience in the health care insurance industry. Ray started his career on the carrier side, first at Prudential then at Aetna where he was regularly recognized as a national sales leader. As a broker, Ray has found success in helping his customers (both individuals and groups) navigate the complexities of insurance. Additionally, he has helped hundreds of Medicare beneficiaries with their health care needs. Ray is active in the National Association of Health Underwriters and is the immediate past president of the Monmouth/Ocean chapter. He is currently a board member. In his spare time Ray enjoys spending time with his two daughters along with boating on the Barnegat Bay and participating in running events.